Consider the impact that YouTube has on society. Every year, the video-sharing site increases in power, and its influence grows more pervasive. According to an annual social media survey conducted by the Pew Research Center, nearly 75 percent of American adults frequent YouTube, and that slice jumps to 94 percent for those between the ages 18 and 24. Now consider the parasocial connections made between celebrities and the general public. The notion that people make intimate and emotional connections with celebrities was popularized back in 1956 by Donald Horton and R. Richard Wohl, but the effects of this phenomenon are more profound today than ever before. Research out of the University of Buffalo even suggests Donald Trump's rise to the presidency may be attributable to his 14-year stint on reality TV. With traditional media platforms, these parasocial interactions are one-sided, but on YouTube, they feel more interactive. Many Youtubers treat the platform as a video diary. Viewers get the feeling (or sometimes the illusion) of peering into the star's private world. Many YouTubers even communicate with their fans through comments or other videos. But the person you see on YouTube is not always the same person in real life. Many, if not most, are playing a characters on screen and passing that footage off as reality. So ask yourself this: Is your favorite YouTuber acting? Keep reading to find out. Back in 2006, YouTube visitors were captivated by what appeared to be a genuine vlog about the daily life of a 16-year-old girl named Bree. 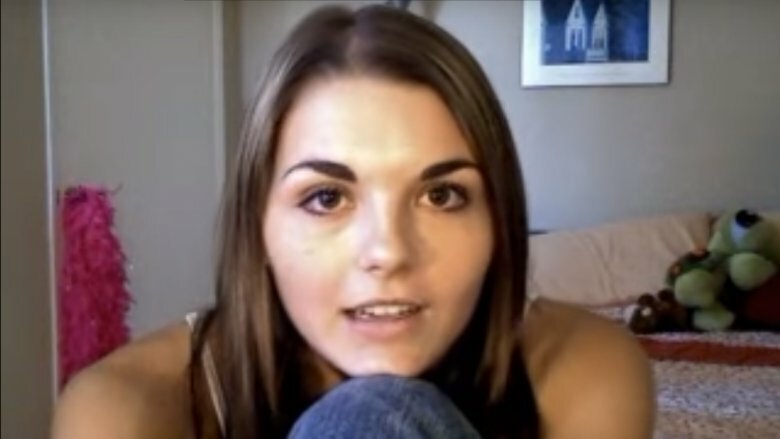 Uploading video diary entries under the name lonelygirl15, Bree's early videos were quirky and cute, and the YouTube community responded in a big way. By late 2006, lonelygirl15 had the most subscribers on the site, but what began as a daily confessional quickly morphed into a much more complex narrative involving some sort of mysterious religion or cult. The truth: lonelygirl15 was all a performance and had been from the start. The script was written by Miles Beckett and Mesh Flinders, and the characters in the videos, including Bree, were actors. According to the team, the plan was to lay the story's groundwork and build up a buzz on YouTube before making the story into a film, but YouTube showed more promise than the creators anticipated. Lonelygirl15 grew into the first full web series on the site and the first series to feature monetized product placement. It's plausible that lonelygirl15 was also the first YouTuber to completely dupe her audience into believing an act. Virtual YouTuber Kizuna Ai has become an internet sensation in a short period of time. 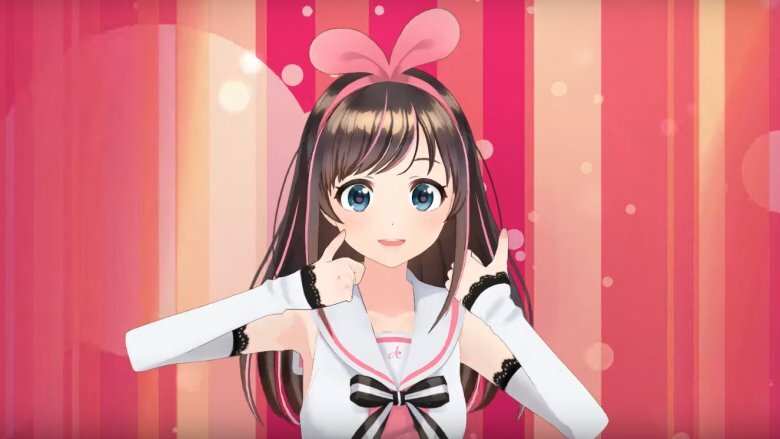 Claiming to be the first of its kind, Kizuna Ai presents itself as an entity of artificial intelligence (AI), allegedly speaking, dancing, and playing games all by itself, without assistance from human intelligence. Does that sound far-fetched? It should. While the thought of an AI-driven virtual YouTuber is exciting and maybe even believable to some extent, experts suggest that we're still a long way from true artificial intelligence. Most of the AI programs we see today are more accurately described as machine learning. In Kizuna Ai's case,there is a real human acting behind the scenes. It appears likely that the character was created using the Miku Miku Dance (MMD) program and a Kinect-style motion capture system. At this point, however, the identity of the voice and motion actor behind the animation is still a mystery. That hasn't stopped the public from buying into the idea of Kizuna Ai. In 2018, (she?) was even named an ambassador for the New York Branch of the Japan National Tourism Organization (JNTO). That's right, Kizuna Ai can now be found promoting the "Come to Japan" campaign run by the JNTO. The YouTuber we knew as Mr. TinFoil was always more legend than man. 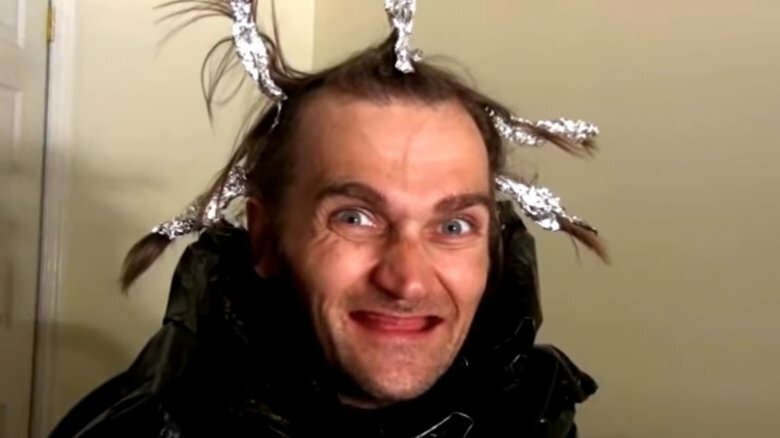 Known for trolling or proclaiming his love for famous YouTubers, as well as his trademark toothless grin, wild eyes, and tinfoil ponytails, this guy became a familiar face for many YouTube regulars. His strange videos popped up all over the internet, but it seemed that no one knew anything about the creator behind the content. This riddle went unanswered for years, leaving fans to wonder about the health and mental stability of the mysterious tinfoil man. Then, in 2016, fans finally met the real person responsible for the wacky character. While still nameless, Mr. TinFoil posted an out-of-character video designed to put to bed an even older character, Sammy, that pre-dated Mr. Tinfoil. For the first time, fans saw Sammy/Mr. TinFoil for who he really was: a sweet, soft-spoken guy with a full set of pearly whites. In early 2018, Mr. TinFoil once again broke character in a video, this time to announce that he was quitting YouTube. Claiming that many of his videos were axed by the site for their advertiser-unfriendly content. It seems this YouTuber couldn't take the heat and put his foil back in the kitchen. Before her YouTube fame, Nicole Arbour was a little-known comedian and actress. She began posting vlogs in early 2015 that were crass but not necessarily offensive. Most of her videos featured harmless observations, but with each new upload, the controversial content grew alongside the views. Then the bomb dropped: "Dear Fat People" was released in September of 2015, and it was met with a hailstorm of criticism. It also brought Arbour millions of views, more than 14 million of them at the time of this writing. Arbour became the unofficial face of fat-shaming. She took heat from fans, media outlets, and even other celebrities, but she refused to apologize. As a comedian, she defended herself by claiming her right to make fun of all people, including the overweight. In an interview with Cosmopolitan, she tried to make her point: "The message in 'Dear Fat People' isn't mean, and anyone who actually watches it should get that it's comedy, it's satire, and it's a true message." Herein lies the problem. By presenting her statements as both "satire" and a "true message," her intent becomes fuzzy. But is Arbour truly the fat-shaming bully she's been made out to be? Probably not. According to Arbour, that controversial video was all part of a marketing ploy to generate more views and more subscribers. While this doesn't make her any less responsible for her insensitive remarks, it does, at least, provide viewers with a glimpse into the thought process behind the persona. YouTube was host to one of the stranger cases of internet hysteria ever witnessed in the summer of 2016. It all started when fans of British beauty vlogger Marina Joyce noticed that her usually bubbly personality had altered slightly. The frenzy grew when some viewers pointed out Joyce's seemingly scared off-camera glances, bruises on her body, and even a gun in the background. It wasn't long before #SaveMarinaJoyce was trending online. Save her from what, you ask? Some fans believed she was the victim of a kidnapping, whereas others felt ISIS was involved. The hysteria hit a fever pitch when the police were called to Joyce's home to investigate. What the authorities found was a healthy young woman who was the victim of internet hysteria and nothing more. Fans of Joyce had become so familiar with her personality and so personally invested in her life, that they reportedly felt anxiety and panic at the thought of her being in danger. While audiences were wrong about the kidnapping, in a surprising twist, viewers may have been right about her personality change. Approximately nine months after the #SaveMarinaJoyce incident, the young YouTuber announced that she had been struggling with depression during that controversial period of time. In a video confession, Joyce says her troubling personality shift was the result of her personal struggles and that the bruises viewers spotted were the results of her destructive lifestyle. 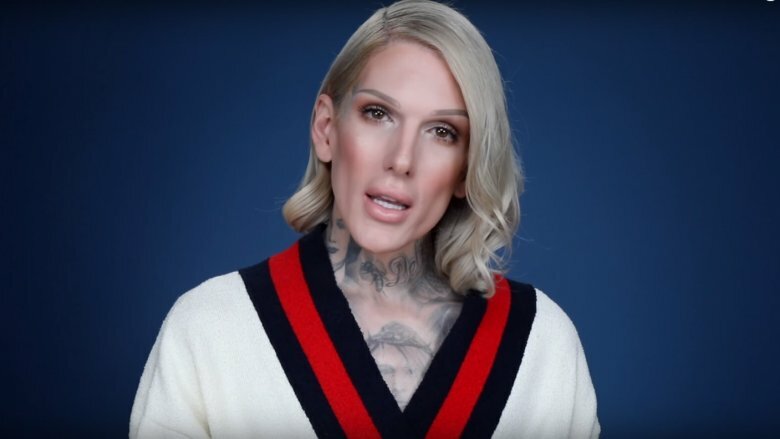 Since bursting on bursting onto the YouTube scene, Jeffree Star seems destined for drama and controversy. The iconic makeup and beauty vlogger has been slammed for his checkered past full of provocative and racist comments. He got embroiled in a brouhaha involving Kim Kardashian defending him, then not defending him, and then him responding to her taking back her defense of him. Got all that? While the videos that surfaced featuring Star and his racist comments are difficult to watch and even more difficult to forget, the popular vlogger has not hid from his past mistakes. Instead, Star has used his past as a platform to discuss his own shortcomings and to take a hard look at racism, in general. In a 15-minute apology video, Star addresses his controversial remarks and attempts to demonstrate that he has changed and is now sickened by the person that he once was. For years, fans have become accustomed to seeing Star engaged in negative beefs, but he insists that he's determined to promote a more positive message, regardless of how well the alternative sells. 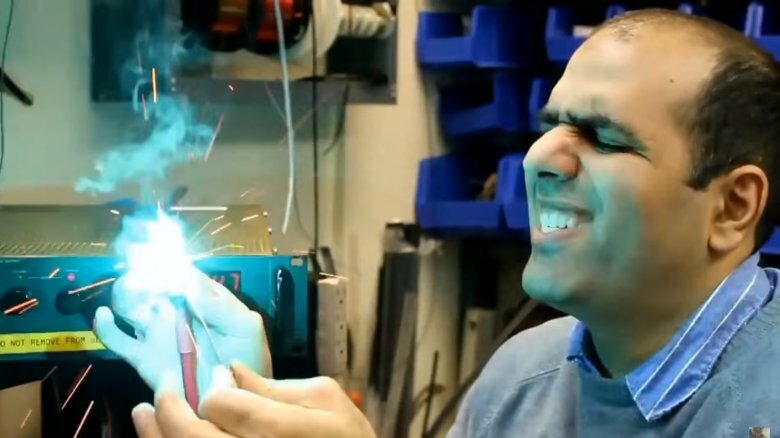 The deadpan humor of Mehdi Sadaghdar has delighted fans of his ElectroBOOM YouTube channel for years. Though he may not have known it at the time, Sadaghdar's first video set a tone that nearly every one his videos would follow. It begins with a serious explanation and demonstration of electrostatic discharge (ESD). Then the magic happens. Sadaghdar is shocked by an electrical current, causing him to shout and curse. After a jump cut, the host is back to business, this time providing viewers with a safety disclaimer. What Sadaghdar does in his videos is not new by any stretch. What sets him apart from others like him is how quickly and unexpectedly his dry delivery shifts into chaos. While he certainly isn't complaining about his overnight YouTube stardom, Sadaghdar suggests that his humorous side is not something that necessarily comes natural to him. For him, the self-proclaimed "introvert" with a master's degree in electrical engineering, the goal was simply to teach and inform others about his craft. After a basic website approach failed to attract a sufficient audience, Sadaghdar resorted to his now-famous brand of clumsy, slapstick humor. Though you may get a kick out his online persona, don't expect the same when he's off duty. Trevor "TmarTn" Martin got his start on YouTube by posting Call of Duty gameplay videos. After growing his fan base and subscribers into the millions, he eventually moved into the more lucrative world of Counter Strike: Global Offensive (CSGO). Counter Strike offers gamers the chance to obtain rare and often expensive game items called "skins." These skins can be acquired through gameplay, purchased, or traded on the open market. That's where Martin's troubles began. Martin began frequenting a website called CSGO Lotto and posting videos of his experiences on the site. On CSGO Lotto, users can effectively gamble for the rarest and most expensive skins available for Counter Strike. 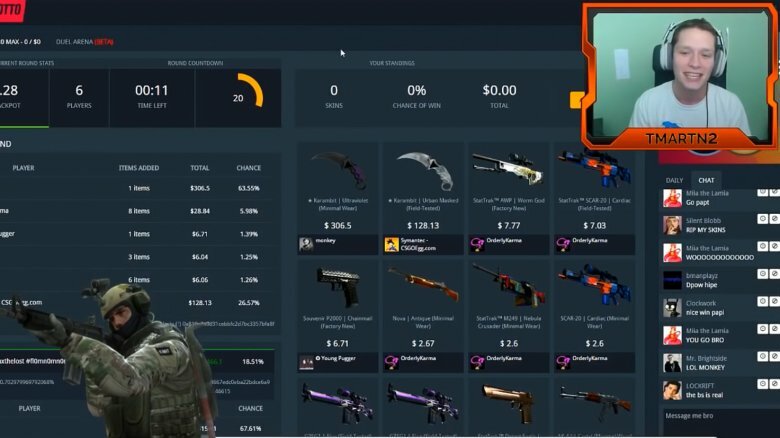 In the videos Martins posted of CSGO Lotto, he seemed exceptionally lucky, and not only was he showcasing the benefits of the lotto site, but he was also openly promoting it. The problem here is that Martin's luck may not have been luck at all. Martin and his friends were playing coy about their personal interests in the CSGO Lotto site, but they were exposed as its majority owners in the summer of 2016. Despite escaping any serious fines or punishments, Martin was forced by the FTC to disclose all endorsements and connections. Between 2012 and 2016, the "Psycho Series" from the McJuggerNuggets YouTube channel was one of the site's most popular web series. What started as a single video about an unhinged father destroying his son's Xbox grew into a massive story about a destructive and often violent family. Totaling hundreds of episodes and amassing more than 1.2 billion views, the series was known worldwide. Aside from the obvious entertainment factor, perhaps the biggest draw was the convincing nature of the family's high jinx. Though many fans may claim to have been in the know, it wasn't until creator Jesse Ridgway finally revealed that the whole series was an act that the speculation truly ended. After the reveal, many fans were sour about the deception, but Ridgeway feels no remorse. In a statement about the series (via Variety), the creator said, "I never lied. I was playing a character. It was not myself. It was acting. It was not a lie. I never lied. Never once. … I don't think there was anything wrong with it. I am done with the series. The videos were fake. It's finished." 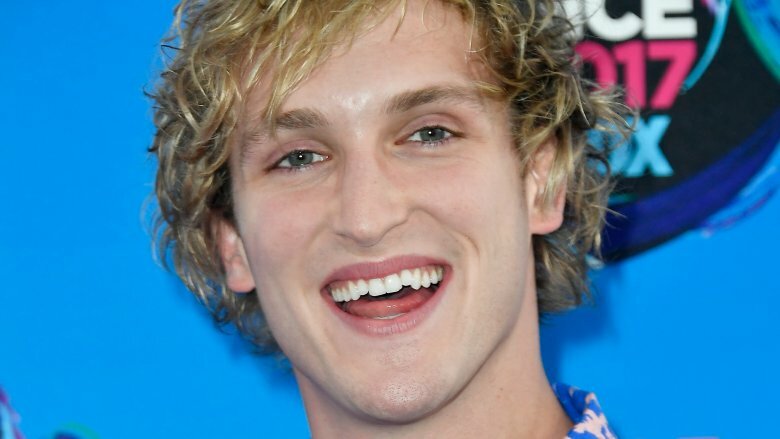 Logan Paul was a social media star for years, but in 2014, he started posting original content on YouTube and quickly became one of the most recognizable — and controversial — stars on the platform. His videos have been slammed for being offensive, sexist, and cruel, but despite what critics may say about him, Paul may not be as heartless as he seems online. In December of 2017, the 22-year-old sparked outrage with his video from Japan's Aokigahara "suicide forest." In the now-disabled video, the famous YouTuber stumbled upon a recently deceased person — an apparent suicide victim. Though posting the video at all demonstrated a serious lack of judgement, Paul has set out to make amends. After a short break from YouTube, the young man returned with several sincere apologies, projects to promote suicide prevention awareness, and a pledge to donate $1 million to suicide prevention organizations.